The ZenWatch3 and ZenPad 3S Announced at IFA 2016! Not everyone can take a trip overseas to Berlin to see IFA, but hey, don’t let that get you down! We have an overview of what was announced during the Zenvolution Conference in Berlin, Germany. 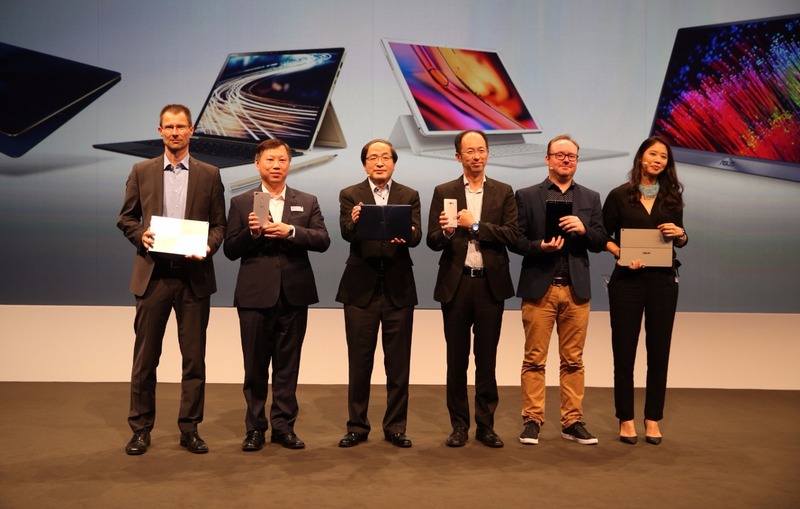 If you’ve already read this article regarding Zenvolution @ Computex, or watched the livestream of Computex back in May, then you’re already aware that the Transformer 3 and ZenBook 3 are in the works. 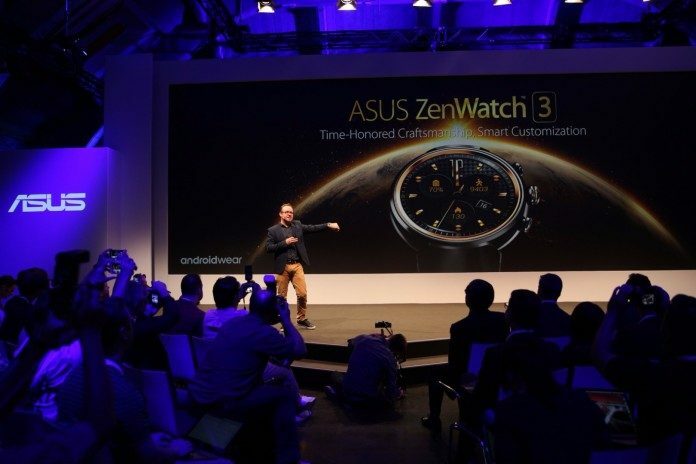 But there are two more products that will be hitting North American shores: the ZenWatch 3 and the ZenPad 3S. One thing that for sure caught my eye about the ZenWatch 3: the watch face is round and beautiful. The watch’s body is made from jewelry-grade stainless steel, and the wrist strap is made with high-quality rubber or leather, whatever you’d like. You have three buttons on the side that can be used to access certain features: one to start a fitness workout, one to access the menu, and one to simply have your watch tell you the time. And of course, similarly to the ZenWatch 2, you have the option of customizing your watch face to whatever suits you. 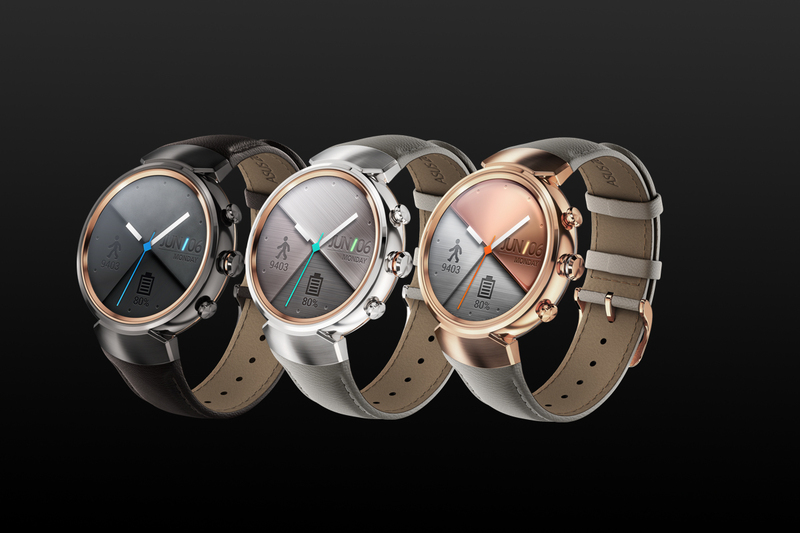 The ZenWatch 3 also boasts HyperCharge, which will bring your battery from 0% to 60% in 15 minutes. If you don’t want to carry another charging cable in your car or purse, you can also utilize the optional battery pack to get 40 percent more battery life. As I’ve mentioned, one of the buttons is programmed to launch the the ZenFit app. The app makes for a great workout tool, especially if you’re just getting into basic fitness. What I personally love is that it gives you doable goals to get you to exercise; it doesn’t throw you into difficult training routines like other health apps. For example, maybe you just want to start out with a small workout and build some upper-body strength instead of a taco gut. You can set a goal on the app for something as simple as 10 or 20 push-ups. After you’ve struggled with completed your brief training session, ZenFit will tell you how long it took, how many calories you burned, and how many total reps you did. It will also let you know how many people are currently using the app and doing the same type of workout. It’s definitely a great little companion for this wearable! I know that lately, we’ve been talking a lot about our tablets. This one in particular is for the business traveler who wants a good tablet during those long flights and drives, or who doesn’t want to bring a laptop around just for watching videos. The ZenPad 3S is a great, on-the-go tablet that has been engineered to make both video and sound quality superb. Its screen is just under 10 inches and features a beautiful QXGA resolution (2048px x 1536px) with a 78% screen-to-body ratio. High-Res Audio support really helps capture the true ambience of what you’re watching or hearing and immerses you into it, whether it’s a movie staged in a forest or a live track recorded at a Blink 182 concert (by the way, Blink 182 is back). Not only that, but the ZenPad 3S can also get loud. You definitely won’t have to struggle to hear whatever is playing. If you’re not in a position to blare your ZenPad 3S at max volume and would rather use your headphones, then you’ll be able to enjoy the DTS Virtual Surround Sound experience that simulates that 7.1-channel home-theater feel. Of course, the other specs are definitely not too shabby, either. 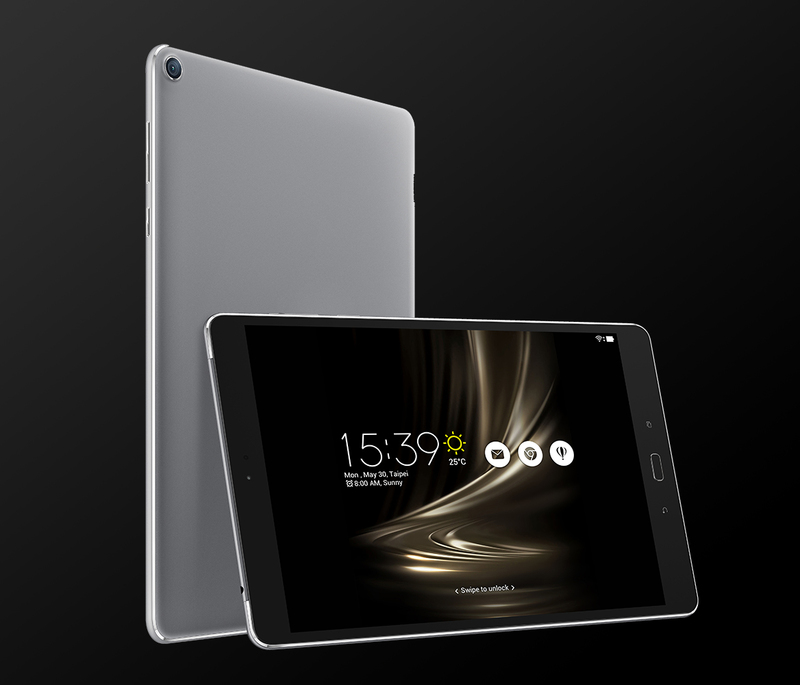 The ZenPad 3S runs on a hexa-core MediaTek 8176 processor with 4GB of RAM, up to 64GB of onboard eMMC storage, and expandable storage up to 128GB using a microSD card. Additional features include a fingerprint sensor and a high-capacity 5900-mAh battery. If you want to check out the full press conference, check it out here!